I’ve been on vacation. At this time, we were exploring the Keewenaw Peninsula around Lake Superior in Michigan. It would be a great opportunity for Plein Air painting, but I’m with family and we’re always on the move. I thought to squeeze it in while we were sitting on the beach, but the only option was my IPad. This would be great if not for sunlight’s glare on the screen. 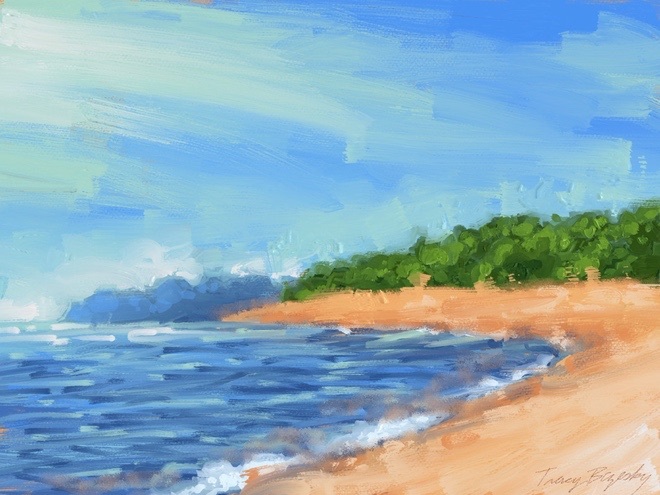 I used Art Set Pro on my IPad with a brush stylus. Fortunately I had colors picked for landscape on my palette. I made some revisions after I got inside. I considered it a worthwhile exercise. I’m heading home today. I thought I would try using the IPad to flush out how I could do a bigger painting. Possibly this would be a 14″ x 18″ Acrylic on Canvas? 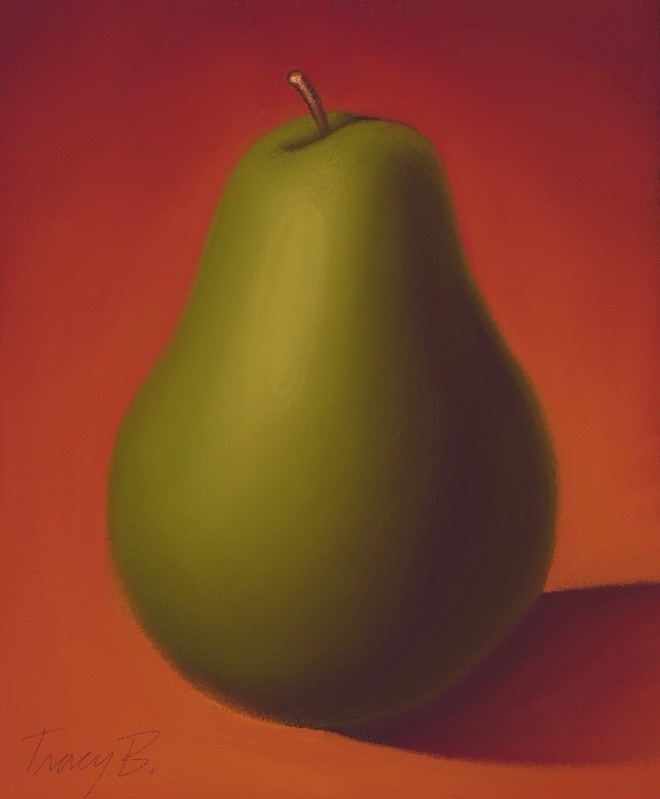 Thought I’d paint my pear on the IPad in Art Set Pro with oil paint, using a stylus. I think it’s very intuitive. 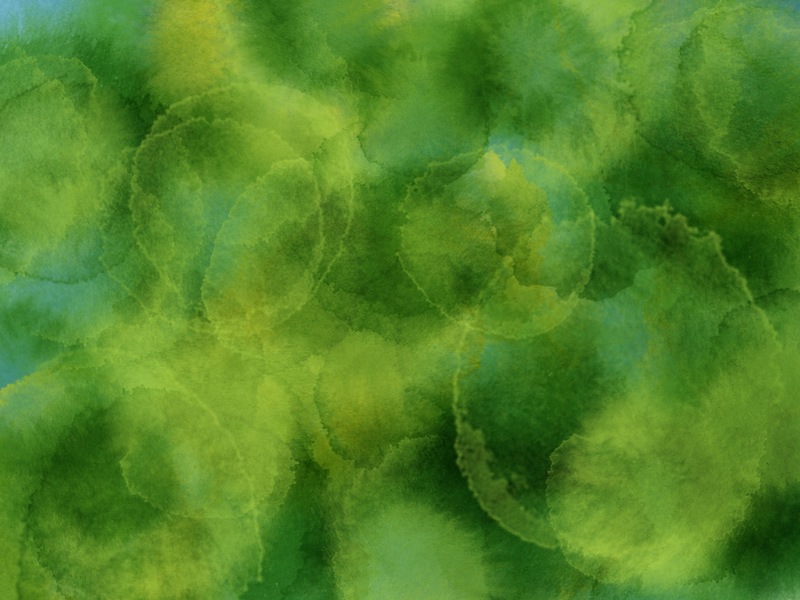 It’s fun, I can paint loosely with it. This is an exercising in how many ways can I find to render a pair, starting with some of the most basic. 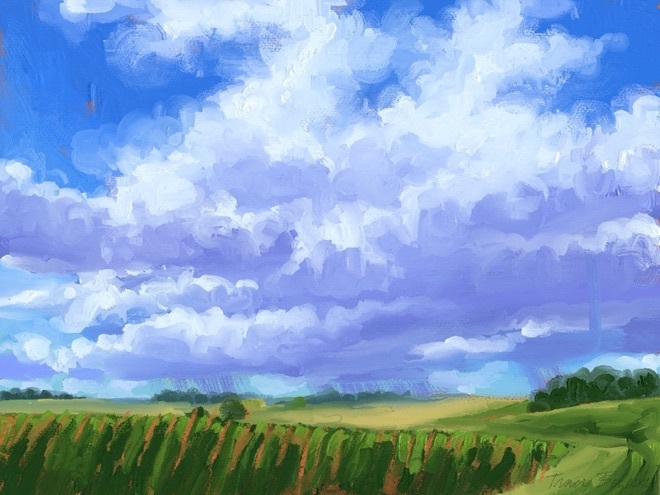 In this case on the IPad using the Art Set Pro App with the oil Pastel tool. 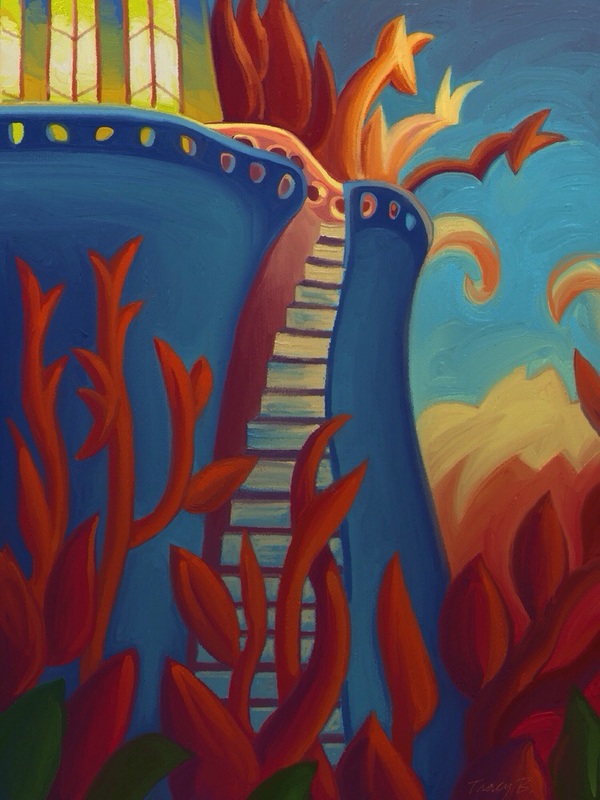 What Animated film inspired me to do this Ipad painting? It’s from “Le Tableau” a French animated feature film. 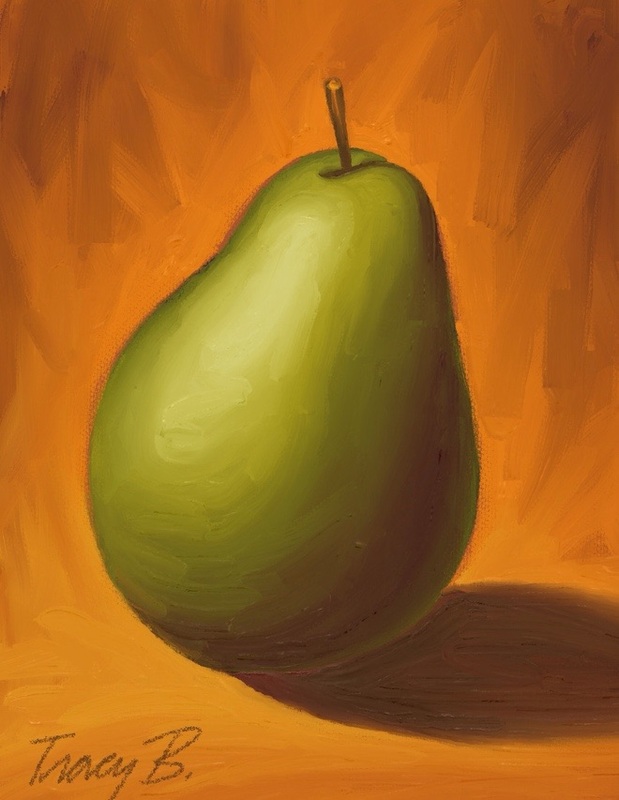 In English it’s known as “The Painting.” I thought it would be fun to paint a picture like it and have brushwork. I took some liberties, but it was fun to experiment with this environment and the Art Set Pro App. The French have other recent great animated films like “Ernest and Celestine,” “Secret of the Kells,” and “The Triplets of Belleville.” All of these movies including “The Painting” are available on ITunes.